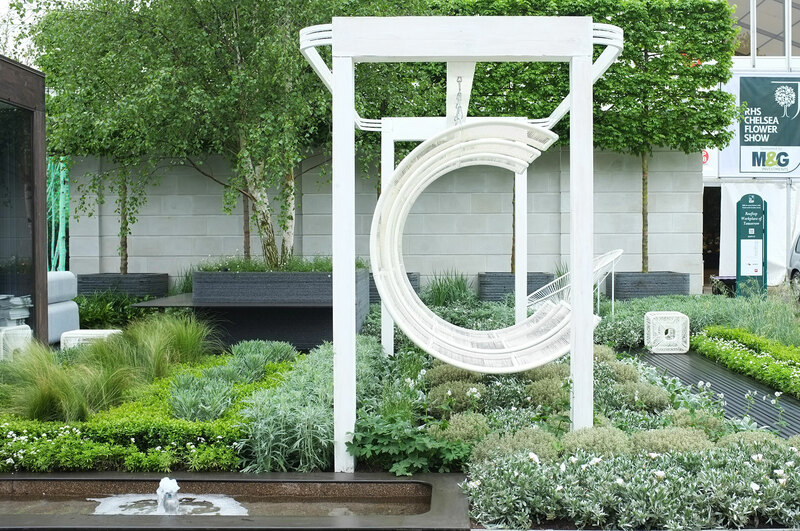 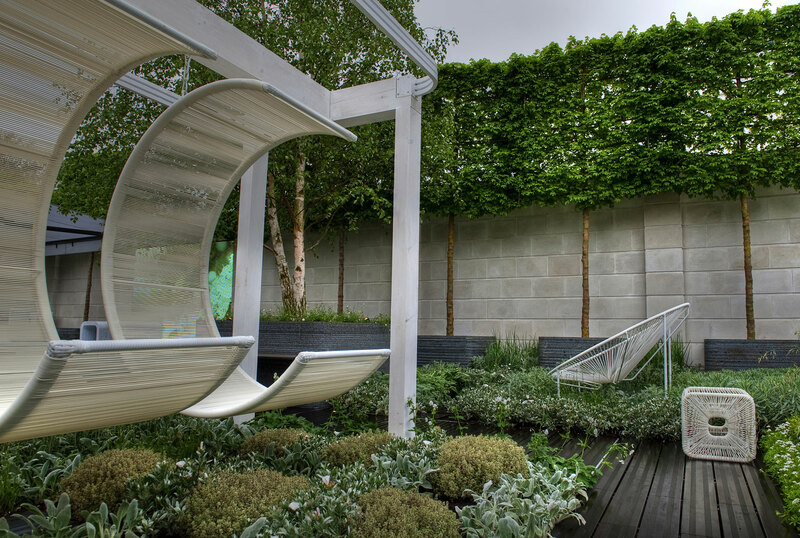 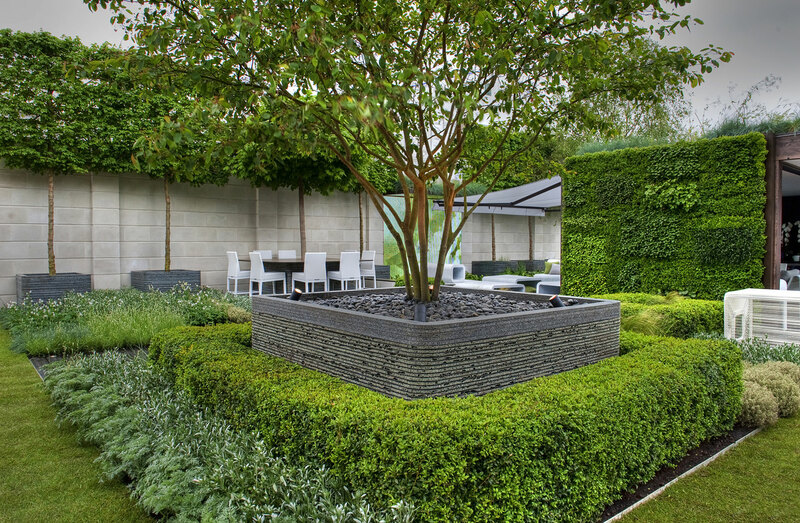 Aralia Landscape Architects wanted to create an innovative and contemporary roof terrace for our RHS Chelsea Flower Show Garden in 2012. 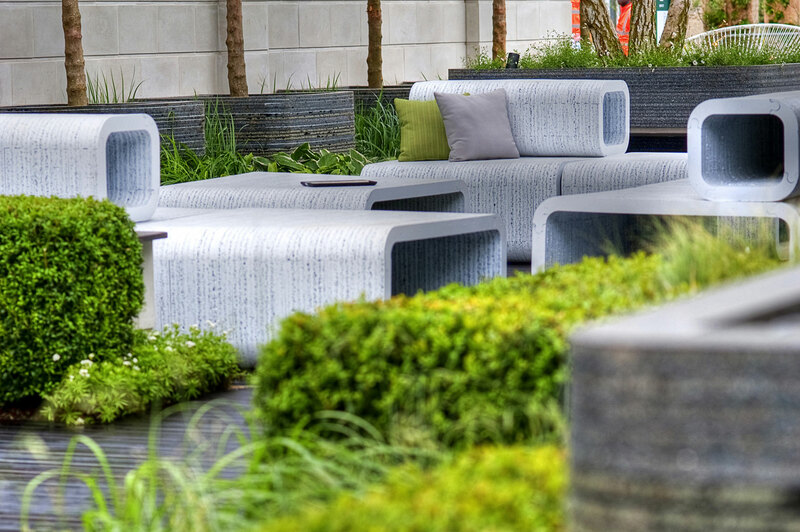 This garden was created around the concept of a digitally connected roof terrace that would work as an extension of the working office, utilising unused urban rooftop space, and transforming it into a haven of relaxation that would provide a thought provoking working environment, in the midst of an urban concrete jungle. 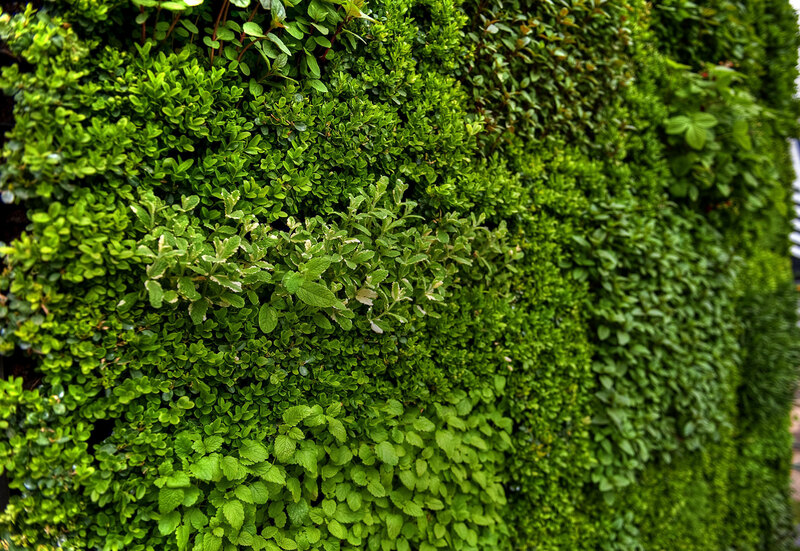 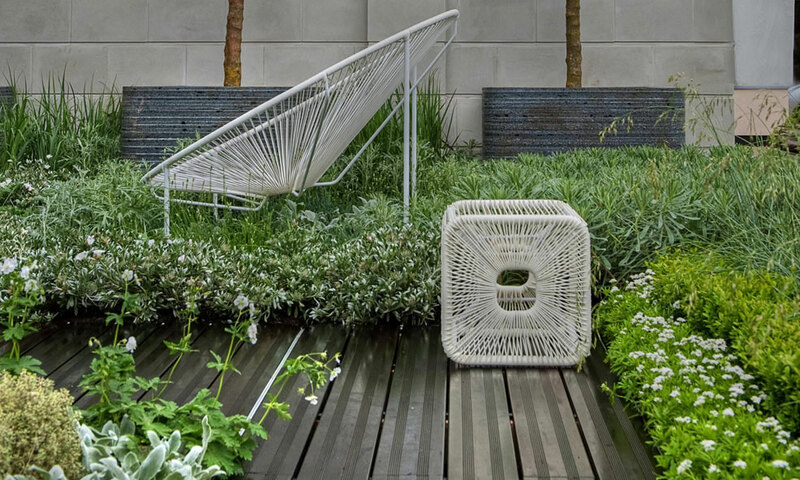 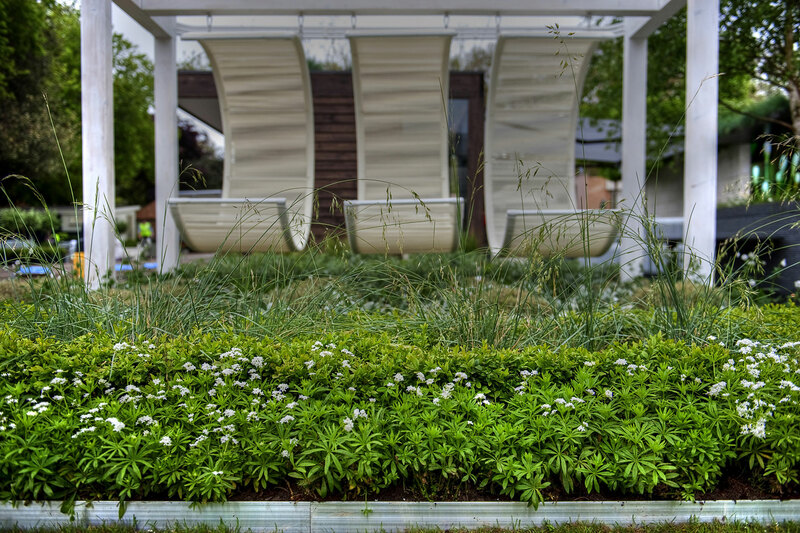 Sustainability was another main focus for Aralia Landscape Architects, adding a green wall and living roof, as well as ensuring all of the bespoke garden furniture featured was made from up-cycled materials. 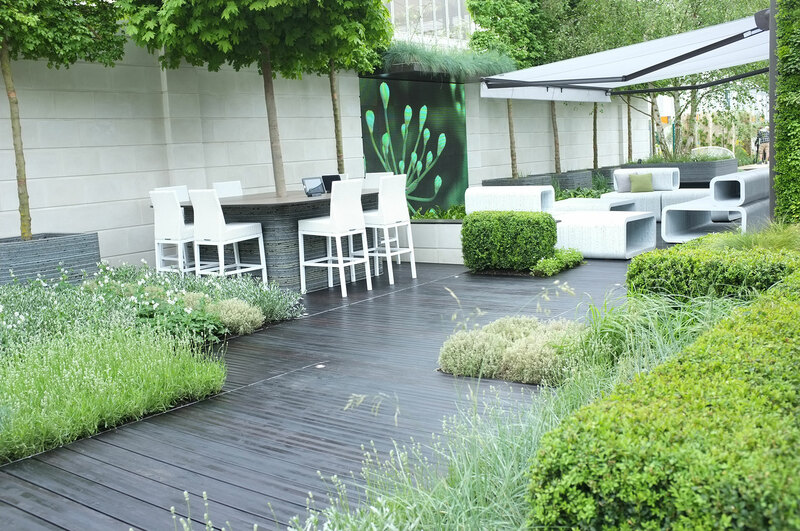 This contemporary roof terrace is for clients who desire a stunning look whilst also striving for sustainability. 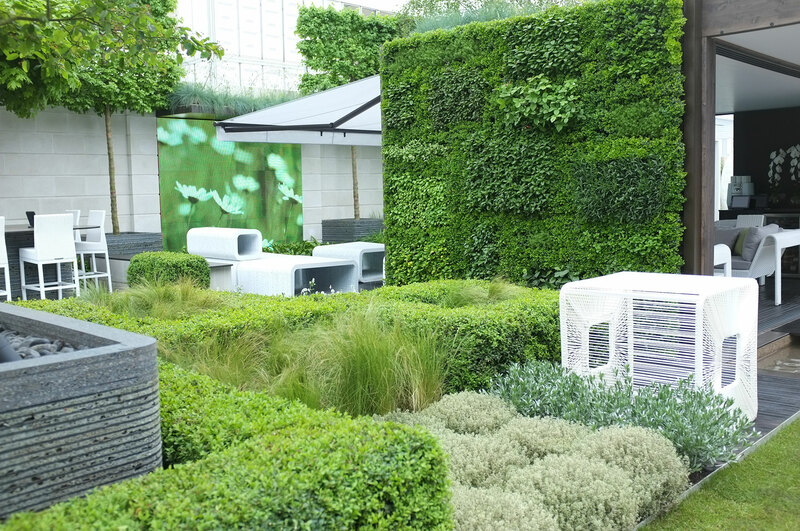 This roof terrace cemented Aralia’s reputation of spotting future trends, as it was here we featured the concepts of Roof Terraces and Green Walls, both of which have become highly in-demand and on-trend since. 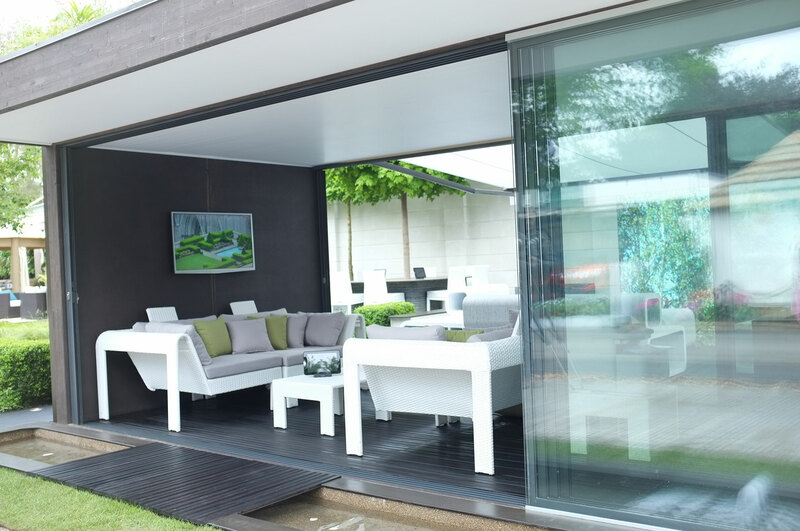 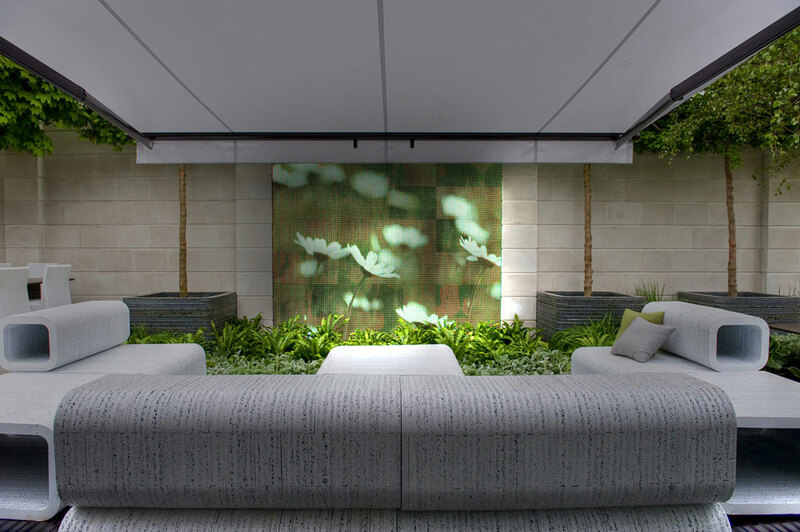 Finally, Aralia Landscape Architects incorporated more innovation into this roof terrace design by including state of the art, portable technology, such as Toshiba tablets and an LCD Sports Screen that sat in harmony throughout the garden. 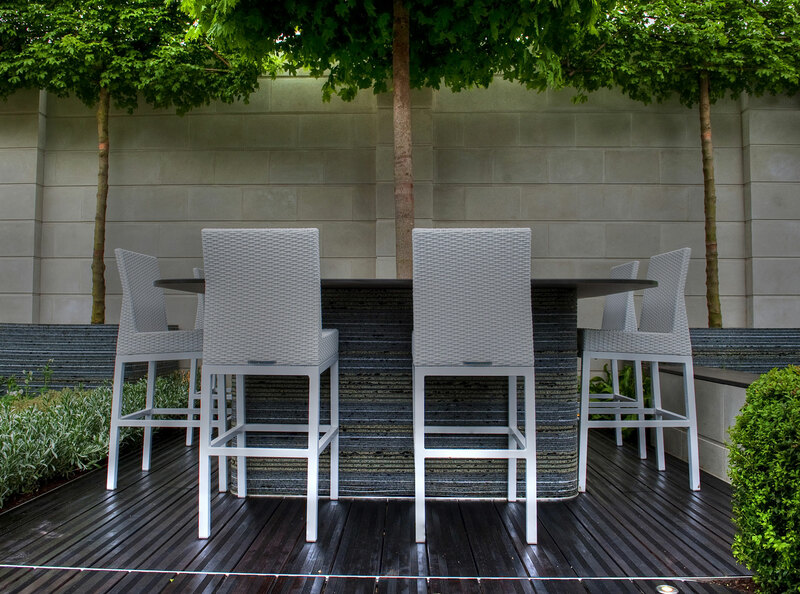 Bespoke Garden Furniture including hanging ‘C’ shaped chairs, Contemporary Modular Cube Building, Sustainable Bamboo Decking, Wi-Fi, LCD Outdoor Sports Screen, Edible Garden Features such as the Herbal Tea Bar, Green Wall/Living Wall, Pleached-Trees, herbaceous planting, Buxus Hedging and Green Roof/Living Roof.